Fashionably styled for those who love the daintier trends. This bracelet design is made with AAA-grade genuine cultured pearls offset with plain and corrugated 100% 14k gold beads. Featuring a stunning custom engraved solid gold heart charm, securely strung onto bracelet. With our complimentary beautiful gift wrapping, this makes an exceptional gift for that special little angel in your life. 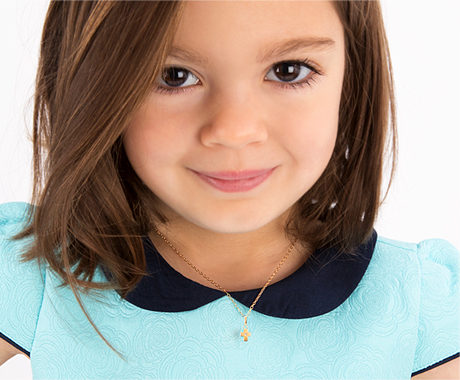 This delicate, timeless bracelet is designed specifically for children. A perfect occasion gift for her Baptism or Christening! She will look beautiful on her big day with this gorgeous high-end piece.